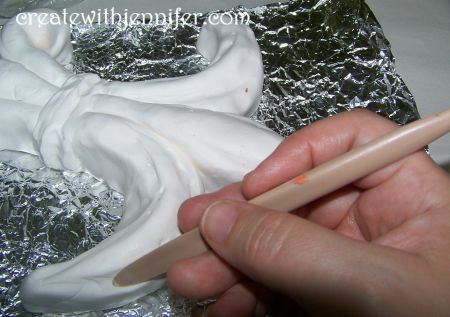 I love Sculpey (my favorite brand of polymer clay) but out of all my projects…I don’t think I have ever done a tutorial on a piece of wall art? Not yet anyway, right? OK, now I will be! 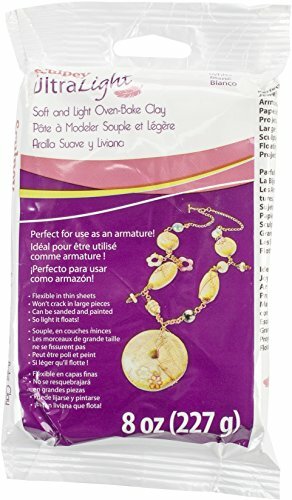 As you are soon to find out, polymer, oven bake clay is every bit as versatile for wall hanging as it is for standalone objects. I think you’re going to love this one right here. Do you know I’m actually on my third of this fleur-de-lis shape? 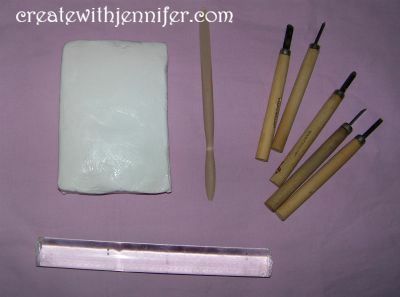 If you’d like to do this too, you’ll need some soft polymer clay and a set of basic sculpting tools. Similar to mine below. 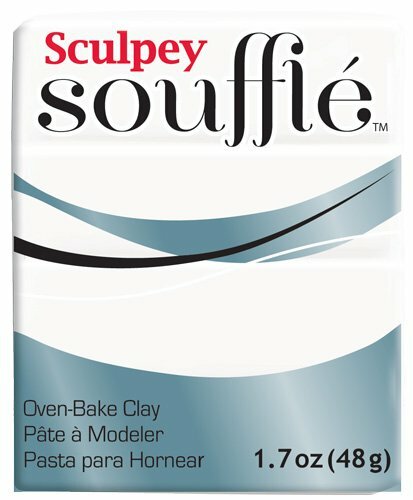 I am using Sculpey Ultra Light …it’s going to make this thing so much less weighty . Something to strive for if you don’t want to have to seal with a droopy nail that got that way from a heavy piece of artwork.which can happen if you don’t know about wall studs. Oh by the way, you don’t have to use this fleur de lis…This is just a way to show how all the pieces come together. You’re welcome to come up with whatever basic object instead, stars, heart, crescent moon, kitty cat, etc., etc. 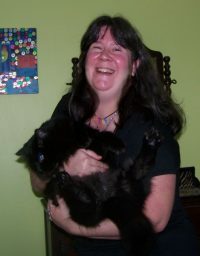 I started by kneading that clay…in which this version doesn’t need that much. Then I broke it up into different pieces representing the parts. Three large pieces for the “petals” of the fleur de lis, and three smaller pieces for the band thingys that go around it. One thing I have learned; multiple pieces will stick together just fine with polymer clay without any special techniques. But I do help it out a little to stick better…in this case I used cross-hatches going across two pieces which helps them fuse together better. 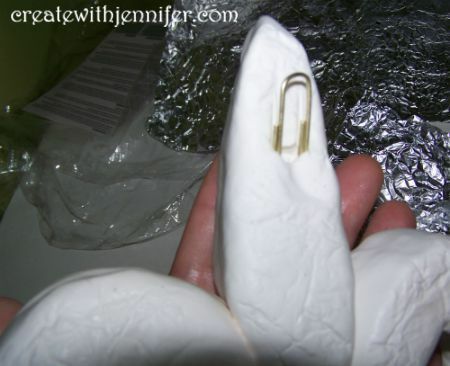 Attach smaller pieces in pretty much the same way. 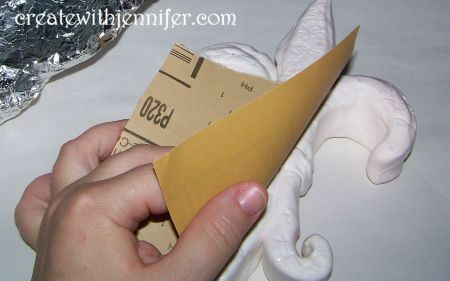 I also used one of my tools to create a beveled edge. 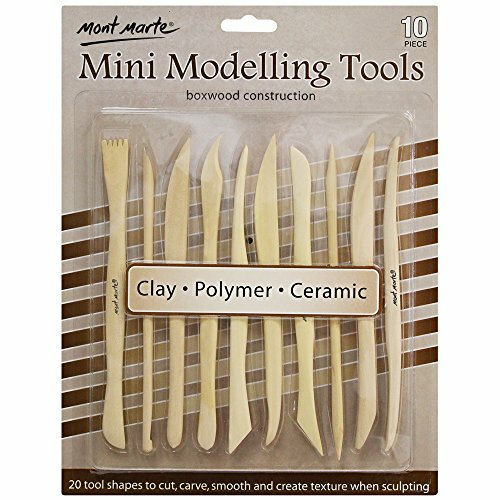 You can do the same with one of your tools especially if it has a flat spade shape. 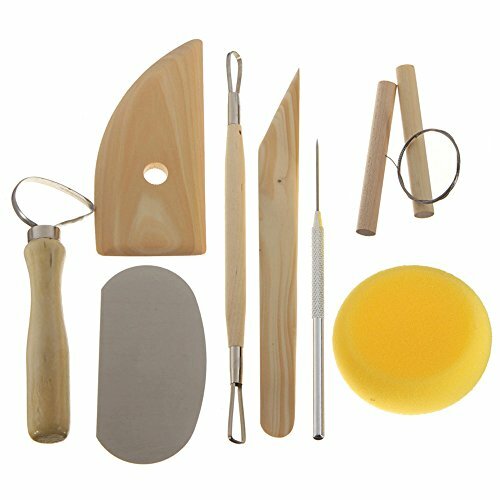 Do you ever find yourself wishing you could add more “dimension” to your polymer clay art? Because it is so smooth it doesn’t get natural little imperfections in it which I think make art stuff look even better. 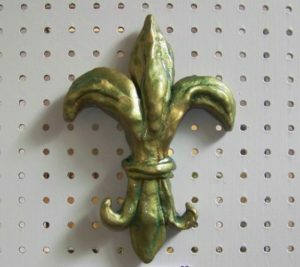 Well I did this too with my clay pieces by wrapping some crushed up aluminum foil around it and presto, my fleur de lis will have a really cool crinkled look. Now to make this thing hang…get a gem clip and insert it into the back of the clay piece … it should be at a 45 degree angle so it will later on hang correctly. 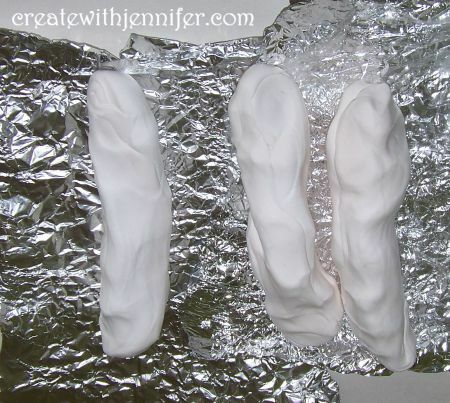 But when your wall art piece is finally cooled, you will then have the privilege of painting or staining your really cool wall art piece made form polymer clay. I buffed around it with a fine grit sandpaper before hand which can help the paint stick better. Then I painted mine a pretty rose gold and also added a satin finish later on. All right! I hope you enjoy this little tutorial and godspeed to you in trying it out…Let me know in the comments if you enjoyed it and what kind of shape or design you wanted to use.